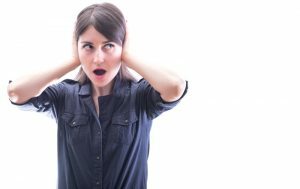 Don't Ignore Your Noisy Furnace | Robbins Heating & Air Conditioning, Inc.
It’s finally February, and although we are catching our first glimpses of Spring, we still have quite a bit of cold weather headed our way. Therefore, we can’t turn off our heaters just yet. If by now you’ve noticed any signs that your furnace is in trouble, now would be a good time to schedule your furnace repair in Cedar Hill, NM. One thing to be on the lookout for is strange noises coming from your furnace. In general, furnaces are very quiet. In fact, the only sound that you should ever hear from your furnace is the gentle whooshing of air flowing through the vents. Strange sounds are definitely a cause for concern, so below, we have listed a few of them. Keep reading to learn more. A loud screeching sound is a sign that the blower motor in your furnace is not working properly. The blower motor is the mechanism that pushes the heated air throughout your ductwork system. It could be that your blower motor needs lubrication, however, a screeching sound could also suggest that the fan has stopped altogether. Your local HVAC technician can assess your system to make an accurate diagnosis. If the sound you’re hearing sounds like metal-on-metal, it could be that there is a problem with the furnace’s blower wheel. If this is the case, it is important that you turn off your furnace and contact a professional as soon as possible to prevent further damage to the wheel. In many cases, the bang or boom sounds you may hear coming from your furnace indicates a dirty burner. The noise is caused by a delay in ignition due to dirt build-up on the burner. The gas builds up inside your system, and when it finally ignites, a small explosion occurs inside your furnace. This can be a dangerous issue, so it is important to have an HVAC professional clean your burners and restore regular function. Rattling can indicate a number of issues, from mild to major. Sometimes, it can suggest that there is a loose panel or screw somewhere on or within the furnace. In other cases, it could mean that there is a crack in the heat exchanger. Over time, temperature fluctuations inside the furnace can cause the heat exchanger to crack, which can become very dangerous. A cracked heat exchanger could allow carbon monoxide or other harmful gasses into your home. If you’ve heard any above-mentioned strange sounds coming from your furnace, it is best to contact a professional as soon as possible. Your local technician will thoroughly inspect your system to make an accurate diagnosis. Running your furnace with an existing problem will only make matters worse, making for higher repair costs and higher heating bills. Plus, some issues can become quite dangerous if left unattended. We still have a bit of winter weather to look forward to, so it’s important to be proactive. To schedule your furnace repair services, contact the team at Robbins Heating & Air Conditioning, Inc. today!